Opened in 1994, Göteborgsoperan (The Göteborg Opera) is an opera house at Lilla Bommen, a harbor section in the city of Gothenburg, Sweden, with a commanding building designed by Jan Izikowitz. The venue — which attracts 250,000 visitors to over 270 performances per year — is home to the Göterburg Opera and the Göteborgs­­Operans Dans­kompani, one of the foremost contemporary dance companies in Europe. 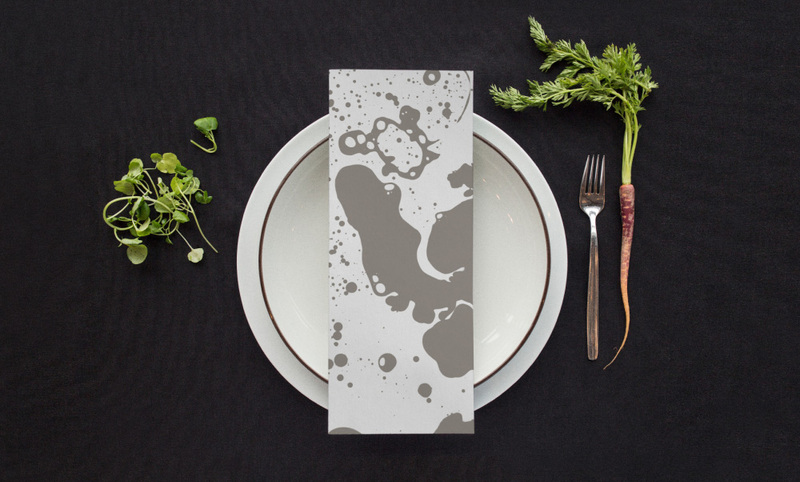 This month, Göteborgsoperan introduced a new identity designed by Stockholm, Sweden-based Happy F&B. We began with an O, as in opera. There are of course many opera houses which use the letter ‘O’ in their logo, so we decided to put our own twist on things by inviting some of our performers to participate in an audiovisual experiment. With the help of a microphone, an amplifier and sound waves generated by vocal chords, movement and instruments - as well as some clever computer work - we were able to create a moving, dynamic identity. The old logo was a really nice, distinctive monogram that, unfortunately, read as “OG” more than “GO” and without knowing it belonged to the Göteborgsoperan I’m not sure how many people would see the two letters. The wordmark was also pretty nice with the ever-so-slight italic-ness but, apparently, it didn’t have the recognition the organization wanted from its logo. The new logo delivers a memorable and recognizable presence through an “O” — for Opera, natch — that has been dipped in liquid and made to reverberate with sound waves. The result is captured in motion and stills to create an unexpected logo (or set of logos) with rich textures. I’m a fan of the more wobbly, ripple-effect variations vs. the ones that have bubbles in them as the latter have a more soapy texture that I don’t necessarily associate with harbors (or want to associate with harbors). I really enjoy the effort to bring the logo to life and the subtly animated logo on their home page is a great example of how to do it without forcing the issue. The wordmark, in its condensed and contemporary aesthetic, is a nice complement to the very effusive “O”s. I like the flexibility it has to appear inside or outside the “O” and how it’s always clearly a secondary element, not competing with the main attraction. 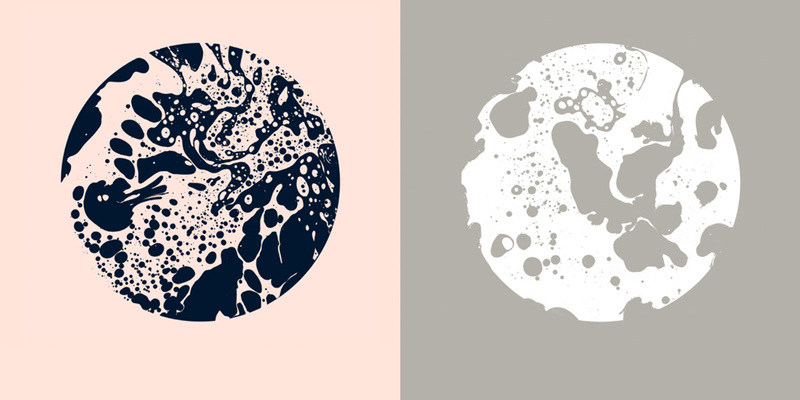 As a secondary identity element there are these round oil-and-water compositions that feel like they are from a whole other project, conveying a more science-y feel and they sort of contradict the visual principles set by the “O”, instead of further deploying the ripple/bubble textures. 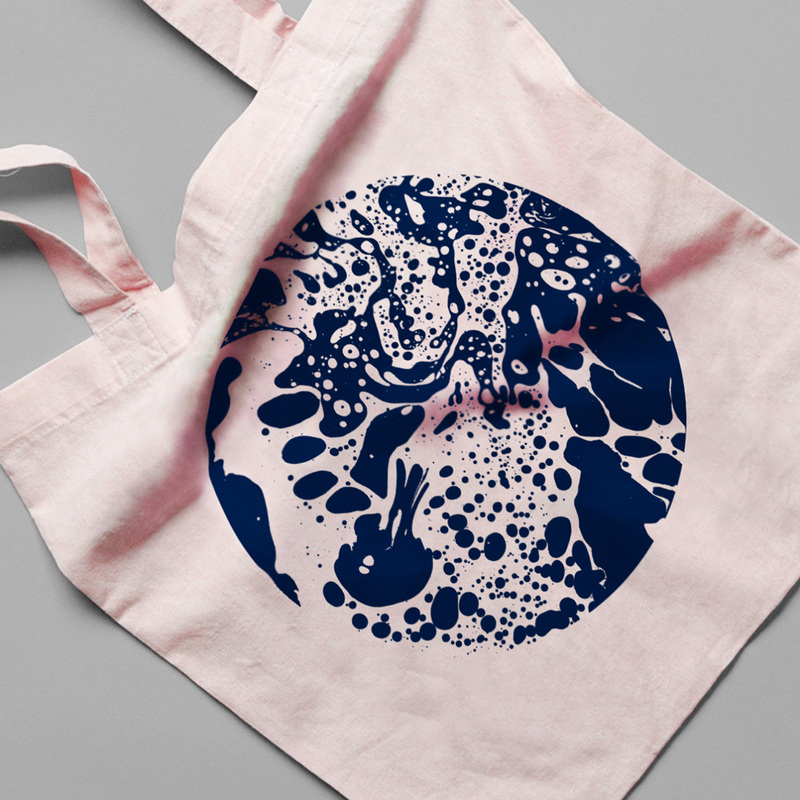 I really dig them on their own and that tote could sell great on Etsy but, as part of this identity, it doesn’t quite gel. Overall, another great example of a cultural space in Europe pushing the graphic boundaries and going beyond what’s expected of classical performances and event spaces. Opened in 1994, Göteborgsoperan (The Göteborg Opera) is an opera house at Lilla Bommen, a harbor section in the city of Gothenburg, Sweden, with a commanding building designed by Jan Izikowitz. The venue -- which attracts 250,000 visitors to over 270 performances per year -- is home to the Göterburg Opera and the Göteborgs­­Operans Dans­kompani, one of the foremost contemporary dance companies in Europe. 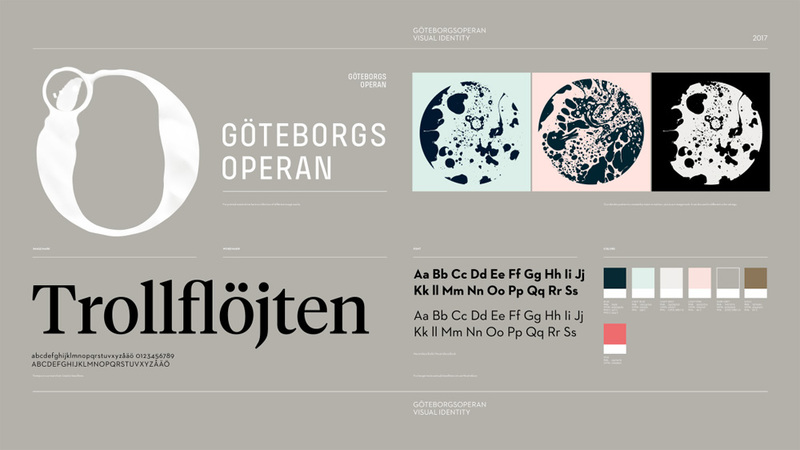 This month, Göteborgsoperan introduced a new identity designed by Stockholm, Sweden-based Happy F&B.